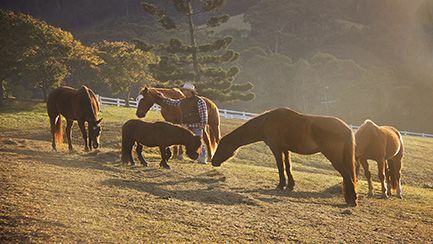 Training customer’s horses including re-starting, re-homing and problem solving – $120 Per hour, within 20kms of Upper Orara, please make contact to arrange a quote for locations outside this area. 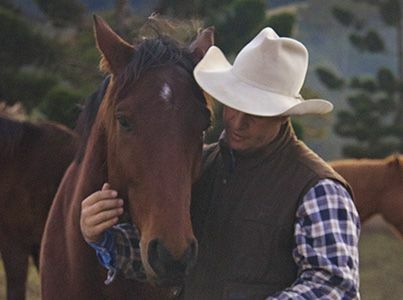 Starting horses (Breaking)– from $1800 – 4 week program, horse remains located at client’s property. Conditions apply to all levels of training, as this is a process that requires the application of various training methods. Please make contact with Chris to begin making a plan that will work best for you and your horse. Starting a horse, or Breaking-in, is approached with compassion for the horse, and begins from when the horse is first born. Traditionally a horse is broken in at around 2-3 years although in the racing industry it can be as young as 18 months. Physically, young horses’ bones and muscles are not strong enough to carry any weight for any length of time until they are 3-4 years old, and then they should be carefully built up with short periods of slow exercise. Harder work and competition shouldn’t be considered until they are least 4-5 years old and for some slow maturing breeds like Arabians and warmbloods, 5-6 years is a better time to start. Realistically, horses can be started under saddle at an older age, although there is perhaps an optimum time when they can be easily developed mentally and emotionally and that is usually under the age of maturity (7-8 years). Ideally, a young horse is being ‘started’ right from birth and during the daily handling/checking they should receive, especially for the first few months of their lives. This will give you a trusting, trainable and confident young horse who knows how to do all the basics for survival in a domestic situation such as be easily haltered, led, have hooves trimmed, be wormed, load /travel on a float/trailer and begin to tie up for short periods under supervision. It doesn’t hurt for them to be ‘turned out’ occasionally and have periods of little human contact providing they are checked and maintained properly, and that the often negative events of worming, gelding and medical treatment are not the only contact they have with people – this will definitely erode any trust you have developed. So as yearlings and two year olds, it is possible to prepare them for being ridden by exposing them to all types of situations, especially if you are not going to be doing the starting yourself. Weaning from their dam, especially if done gradually, will help them learn about separation from their bonded pair or group. But this needs to be extended for short periods (with company to begin with) so the youngster learns they can leave the comfort of their own herd and pasture. This can be done for pleasurable events such as feeding, grooming and playing, then extended to more challenging things such as going for walks (led by a person or from another horse), loading and travelling. Young horses who are taken to shows get a good education in all these things but even if you don’t show, you can take your youngster out to visit a friend, to a play day, or to look around at a small show or event without competing. Introducing an older calm companion who can help give them confidence and show them the way is beneficial. Then it’s a gradual process to ask them to leave the herd on their own, beginning as mentioned above and gradually increasing the time and distance they are comfortable being away from their herd or friend. If you’re starting your own young horse, this is still an ideal preparation so that when it comes time to ride out alone, your horse has confidence in you and the situations you’re asking them to cope with. Starting your own horse to be ridden is the ideal situation. You have a relationship going already – your horse will trust you more than anyone else so why would you want to send them off to learn new things from someone they don’t even know? Many people lack the confidence to start their own horse, and that really just indicates they need more horsemanship education themselves. If you don’t have the skills to carry on the work, then you will face problems and that will most likely instigate either selling the horse or if you love them enough, learning more yourself anyway. The most important factor in successfully starting your own horse is to forget time frames. This is one of the biggest problems with starting young horses. It puts often un-prepared young, frightened horses into overload and you see them ‘shut down’ emotionally just to be able to cope. Does it really matter if it takes you a year to start your horse under saddle? If you’re both progressing and learning within your comfort zones, then enjoy the journey. If you want a horse to take out for a ride or to a certain event by a certain time, go and buy one that is ready for that. Horses don’t forget what you did with them last – whether it be a day, a week or a month ago. In fact giving a horse ‘soaking time’ which could be for as long as 3 days after learning something new, is the ideal way for faster progress. However, I know there will always be people who want someone else to start their own horse. In that case, it’s your job to prepare your horse for the situation as outlined above. This would include getting them used to being handled by different people (preferably those with the same philosophies on horses as you), taking them away for short stays at friend’s places where there’s no pressure, and having them cope with leaving their herd. I always invite my clients to watch the work being done with your horse because I want my clients to learn and be part of the journey, always having yours and the horse’s best interests at heart. Ensure your horse has been recently wormed, hooves trimmed and teeth checked. 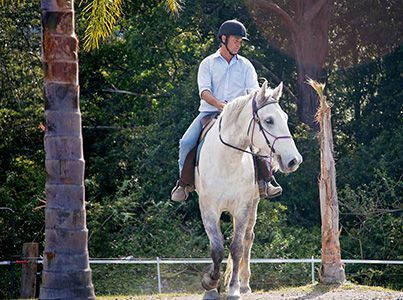 Only commence your horse to be started if they are in good physical health – there’s no point in starting any training with a horse that has physical issues hampering their ability. After the horse has been started it’s ok to give them some time off to ‘recover’ from the workload of training. If you are unsure where to start at home when alone, then I will be available to give you some lessons at your home on your horse, or go out for a short ride with you to help give you confidence that will then transfer to your horse.